Charming Panda bust by master sculptor Matt Buckley - part of the EDGE collection. The Giant Panda is one of the most recognised and universally adored animals in the world. The Panda has a special place in Chinese culture where it is a revered symbol of friendship and peace. Britain's most most famous Giant Panda was Chi Chi who arrived at London Zoo in 1958 and immediately became the Zoo's star attraction and the country's best-loved zoo animal. Let Matt Buckley's beautiful sculpture bring the spirit of these most endearing of animals into your home. 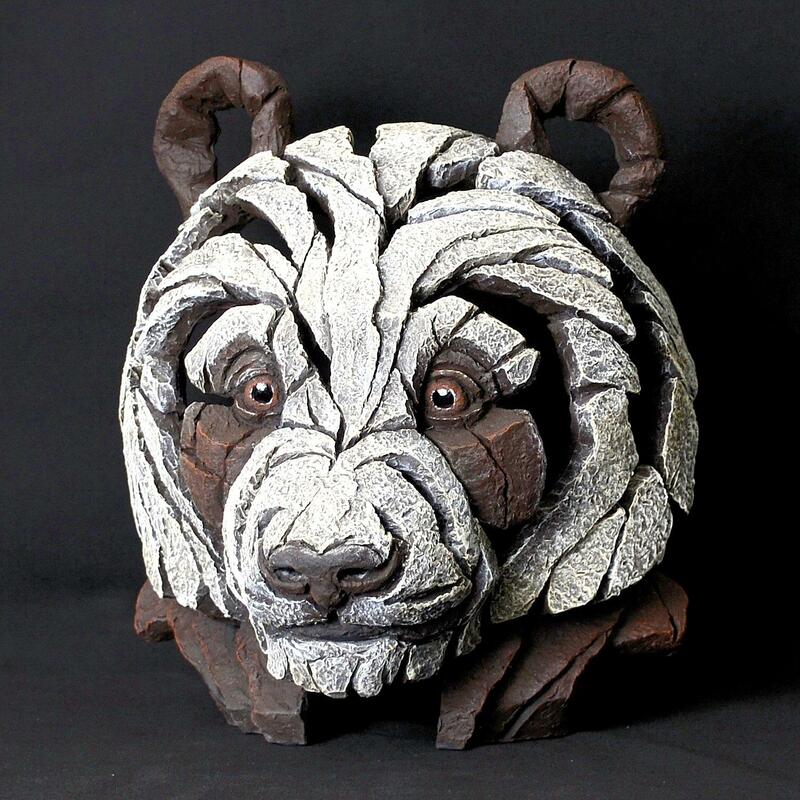 This sculpture is finished in a brown and white colouring but there is also a version in black and white - Panda Bust EDB08.